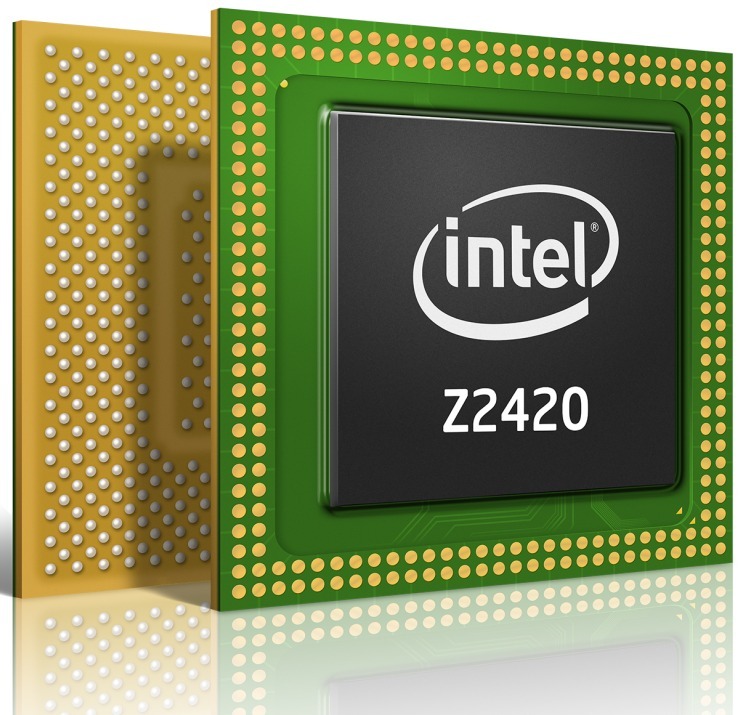 The Intel Atom Z2420 is an entry level single core processor for tablets and smartphones. The integrated Saltwell Atom core is based on a X86 architecture and manufactured in 32nm. The Saltwell architecture is still related to the first Intel Atoms in netbooks. Thanks to HyperThreading, the CPU is able to work on two threads in parallel. The integrated dual-channel memory controller supports up to 1 GB LPDDR2-400. Furthermore, a PowerVR SGX540 graphic core is integrated in the SoC.